And no, don't worry if your target segment is not too comfortable with computers. 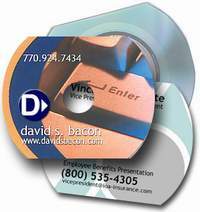 These corporate presentations are made to run automatically when a user puts in the cd in the drive. A completely flowing presentation requires little or no interaction from the user. Imagine the impact you will receive when they see your elegant eye-catching, animated (even interactive) presentations/catalogs, complete with video, photos, text and even a voice-over or soothing music as compared to the boring, similar looking printed ones of your competition. You could even include a tour of your production facilities and gain more credibility in the eyes of your prospects who have never had a chance to visit your locations. You could have a product catalogue complete with pictures and specifications and give your viewers an option to find the product they are looking for through a search facility. It could provide email links to you and also have links to various sections of your website for anyone who wants more details. Imagine the ease of use for your clients and this while you save on the printing costs. With these high impact, audio-visual catalogs, your company will also come across as one that is technologically ahead of its competition. We could also design labels for these business cards, similar to your paper business cards (or fancier if you wish ) which could be pasted on the front of the cards. Alternatively, your name and address could be printed on the cd-cards. The rates vary depending on your needs, length of the presentation, number of products( if its a catalog), level of interactivity and quality of visuals. Your objective : What do you expect the product to achieve for you? Who are your target segments? The text and photos that you want on the cd presentation. We would prefer to get the content in electronic form as it saves us time that we can put to use more effectively in doing the design and development. Create a template based on samples or broad directions given by you. After your approval, create the rest of the scenes/pages and keep you posted throughout the development stage. Give you a master CD with the content. Rectangle-CD – 85х63 мм with 50 MB free space. Round-CD – 85х59 мм 30 MB free space. 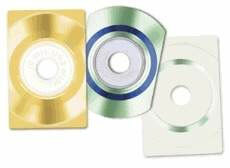 Mini Discs CD – up to 190 MB free space.